The sleeping room has a special role in the house. The bedroom suggests a slightly different atmosphere, more cozy and comfortable. And therefore, before you pick up the curtains in the bedroom, you need to thoroughly consider the interior design. 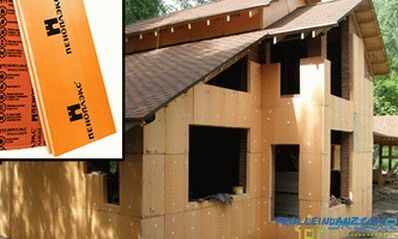 This approach will help to prevent mistakes in design and get the desired result. 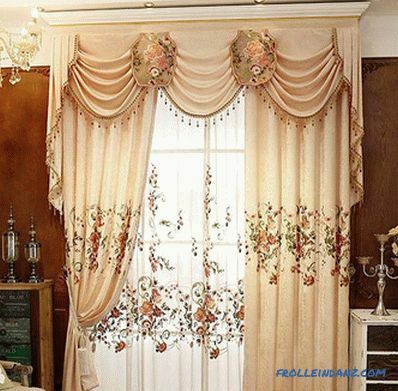 Today there is a fairly large variety of curtain variations for the bedroom. We should not think that it does not matter what the curtains will be in the room for sleeping. It depends on how the room will be perceived in general, and how comfortable and pleasant it will be to be in it. 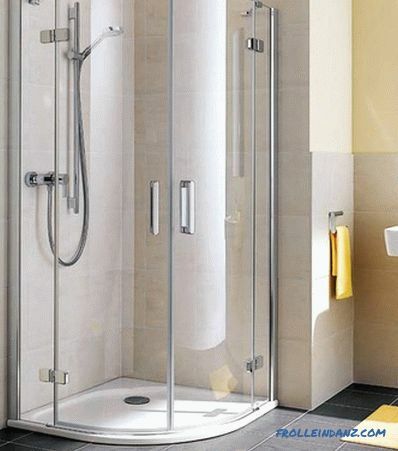 These products can have a purely functional purpose, as well as play the role of decoration in the interior of the room. To protect yourself during lunchtime and rest from bright sunlight, it is better to use thick curtains, such as drapes or curtains. And if it is necessary to partially muffle the flow of light, pastel-colored curtains made of lightweight fabrics will suffice. When choosing fabrics, you should be guided by such an important factor as practicality, There is what type of fabric, how difficult it is to care for it and how to ensure a simple installation to the wall or ceiling. 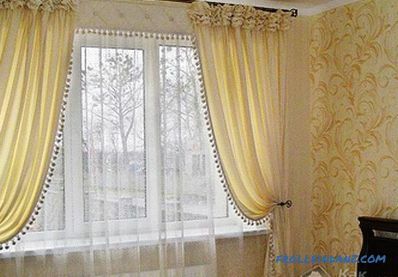 Nowadays, heavy curtains with bulk drapery are not in vogue, but on the contrary, it is desirable that the curtains were made of light fabrics, well tolerated in washing and did not need ironing. 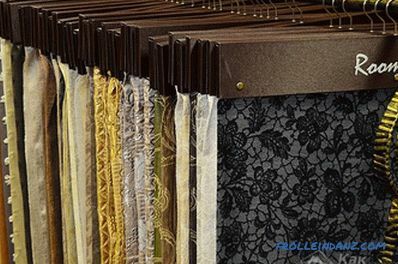 When choosing the type of fabric products plays an important role texture of the material. 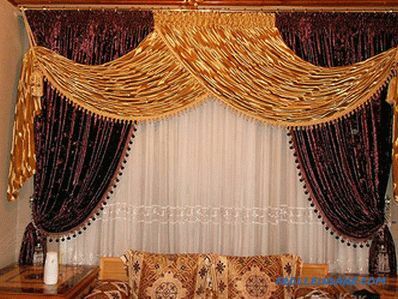 Whatever the type of fabric, the curtains need to be carefully looked after. They need to be cleaned from time to time with a vacuum cleaner, and during long-term use dry-clean or wash them carefully, following all recommendations for this type of fabric. For what purpose do you need curtains? When choosing curtains should achieve several main objectives. 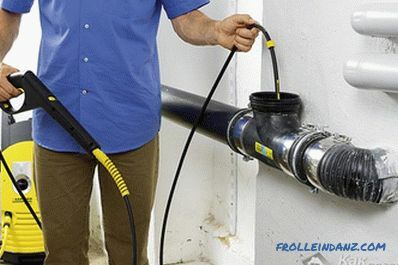 First, you need to provide a darkening of the room, and for this you will need to purchase a product made of thick fabric: curtains, drapes or thick roller blinds. You can check the density of the fabric in the store, for this it is enough to look through it against the bright light. However, staying in a semi-gloomy room is harmful to health, and this can adversely affect the emotional state, so there should be enough light in the bedroom during waking hours. 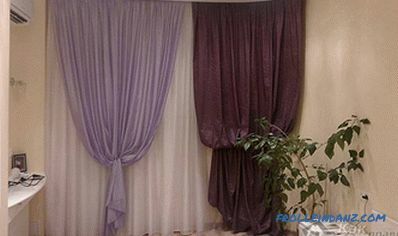 To do this, use the combined version - curtains and tulle. 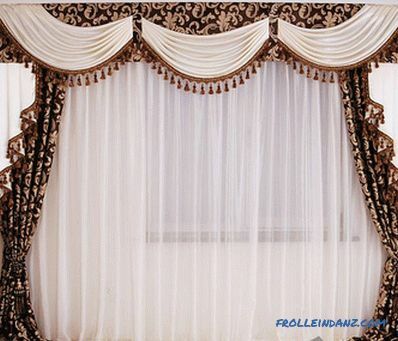 Secondly, the design features of the curtains should be taken into account. To fill the void of window space, use chiffon drapery. 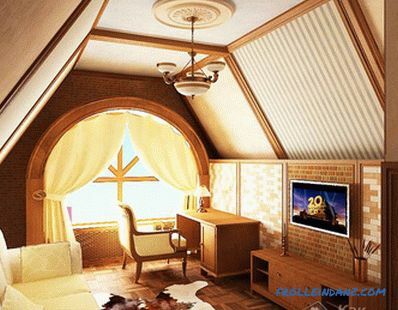 In this case, the room can look luxurious, and in it due to the thin fabric will be quite light. The eaves must be in harmony with the selected curtains, interior, and withstand the weight of all layers of fabric. The oriental style in the bedroom involves a brass cornice and brocade curtains. 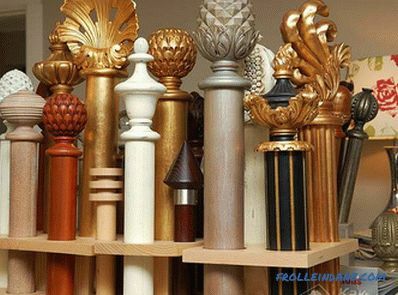 Strict classics require wooden curtain rods with tips. At the same time dense heavy curtains with tassels will look decent. 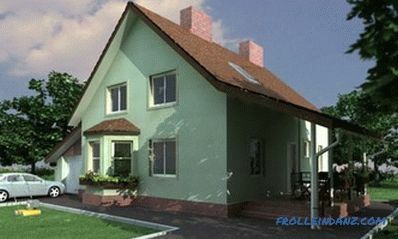 And the modern style is characterized by plastic cornices and curtains with ties. Thirdly, it is important to remember that the well-chosen colors of curtains in the bedroom create an atmosphere of comfort, comfort and contribute to a full sleep. The choice is to stop at the curtains of pastel, natural (green, brown shades) or muted tones (burgundy, purple) - natural colors soothe and help to relax. 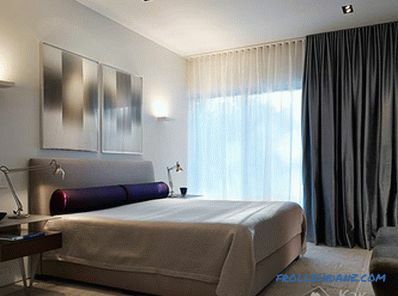 Multilayer curtains look impressive using fabrics of different shades, for example, a combination of white and beige. Do not use fabrics of "poisonous" shades, as this can be annoying. 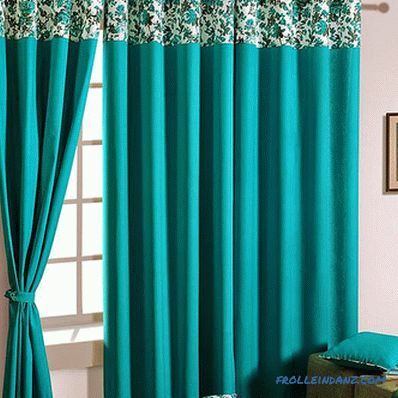 It is important that the combination of the color design of curtains with bedspreads, covers and capes is respected. For a bedroom, it is better not to use artificial fabrics, as they can cause allergies. But natural fabrics, such as velvet, flax, cotton or blended fabrics with a content of 70% cotton or flax, will be very useful. An important point when choosing curtains is color. 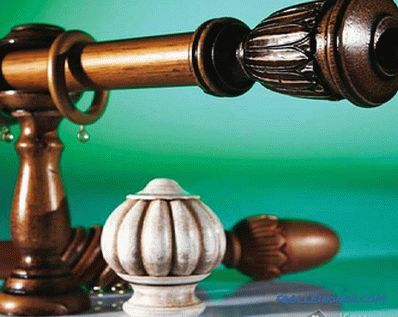 Now it is fashionable to use so-called environmental motifs in the design, for example, the motifs of flowers - roses, daisies, peonies or leaves, as well as birds. 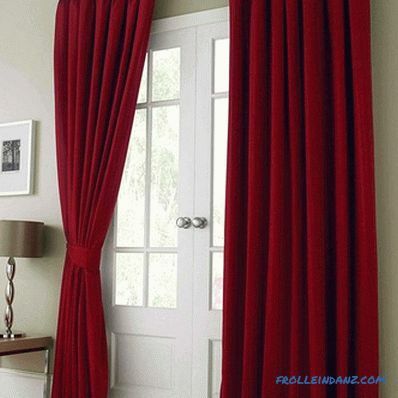 The curtains look nice in which one edge hangs down along with chiffon flowing curtains . Even the coziness of the bedroom is facilitated by curtains in the form of an arch or with symmetrical cuts, as well as lambrequins or jabots. Whatever the choice, the main thing is that the general view of the window helps to create the necessary conditions for a relaxing holiday. 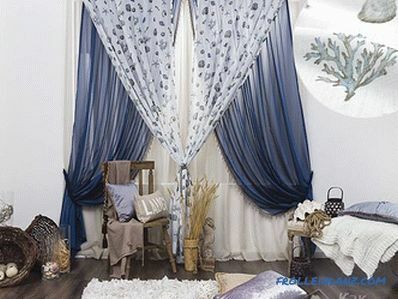 Choosing curtains in color, it is important to remember that this acquisition is not for one year, and whatever the advice of the seller, the color should suit, mainly, the owner of the bedroom. The white canvas visually makes the space of the room wider. Best of all white color is combined with delicate shades, for example, pink, coffee or beige. By itself, this color is uninteresting, and the curtains are pure white and may cause association with the hospital. Yellow is one of the most optimistic and positive colors. It is combined with blue, green or white. Like white, yellow also creates the illusion of a large space. Yellow curtains are very appropriate if the bedroom windows face north. Then the room is getting warmer. 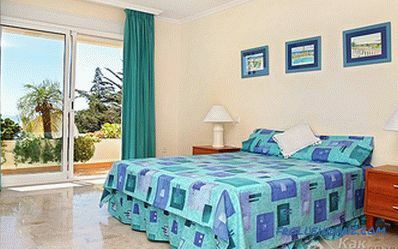 Green color is a classic in the design of the bedroom, as it has a calming, soothing and relaxing effect. The blue color helps create a pleasant, relaxed atmosphere in the bedroom. Blue curtains are perfectly combined with several pillows and paintings made in warm colors. 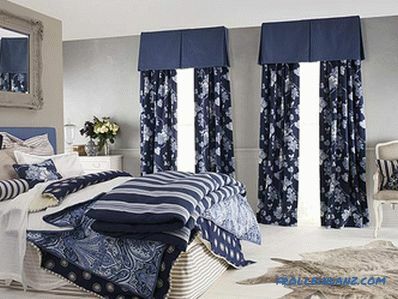 Blue is very popular in the interior of the bedroom, as it helps to calm down and creates a cooling effect. Looks great in combination with white. But the abundance of blue can make the bedroom dark. 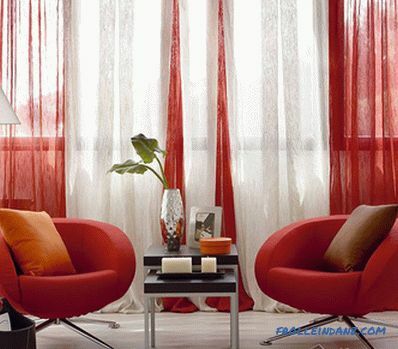 Red color in the design of rooms, especially bedrooms, is used extremely rarely, except that its warm shades. Bright red color has a negative impact on the emotional state, so its use in the interior of the bedroom can be selective. Orange , especially the terracotta shade, will give the room for rest a freshness and comfort. 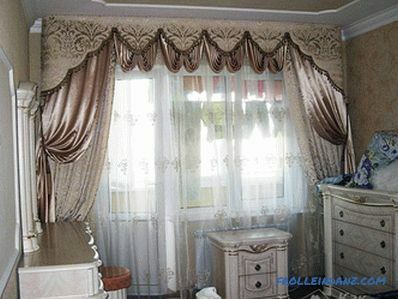 A suitable solution is to choose the color of the curtains for the wallpaper. However, it is important to remember that the color of the curtains must be somewhat darker (lighter) than the wallpaper, otherwise the curtains will be lost against the walls. Nowadays, manufacturers of wallpaper offer a wide range of unconventional materials with extraordinary texture that require careful selection of curtains and curtains. At the peak of fashion today, ornaments, original patterns, intricate abstraction, embossing, various large images. Fabric wallpapers - cotton, flax, non-woven and wallpaper materials imitating wood, stone, leather and plaster are also very popular. Heavy curtains will be suitable for massive wallpaper, and gentle flowing silk curtains are best combined with light wallpaper. 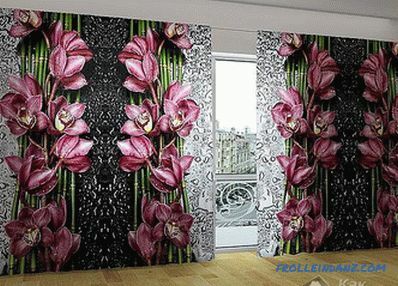 If the wallpaper is abstracted, the curtains can be smooth and uniform in the basic color of the room. Proper use of design techniques will allow you to create a special unique interior. 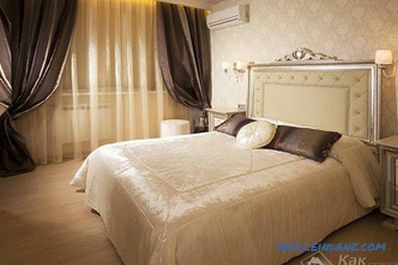 Another option The curtains are chosen according to the color of the furniture or the accessories of the bedroom interior, such as floor carpet, bedspread, pillows. In our time, furniture manufacturers offer a variety of color bedroom sets. It is important that the colors of the furniture and curtains are in harmony. The headboard of the bed can be trimmed with the same fabric from which the curtains are sewn. It will be a great addition to the bedroom interior. In the same way, sofa cushions, bedspreads, covers or soft parts of chairs are sewn from curtain fabric, upholstered in puffs and stools. As you can see, there are enough options for decorating a bedroom with curtains. Ultimately, a choice in favor of a particular style. The main thing is to competently, tastefully pick up accessories, then the result will exceed expectations, and the bedroom will meet all requirements.